Please call us at (800) 230-9661, Monday thru Friday 9AM to 5PM Eastern Standard Time. If you call anytime after these hours, you will be able to leave a message on our Voice Mail. Your call is very important to us so please leave a message and one of our representatives will get back to you shortly. 24 hours a day, 7 days a week fax your order sheet to 631-242-8664, or Email to orders@colorfullyyours.com. You’ll receive a faxed or email order acknowledgment of your order within 24 hours. A faxed or emailed proof of your custom order will follow. Production time of your custom order begins when we receive a signed or email acknowledgement and proof with your approval. You can download our order form HERE. This order form is in Adobe PDF format, therefore you will need Adobe Acrobat Reader to view and print it. You can obtain a free copy of Adobe Acrobat Reader from Adobe's website. Please give us a call if you are interested in our Totally Customized Coloring Books. We will mail you a booklet to help you help us in designing a book for you. In the book it will give you instructions on how to take photographs of your buildings, vehicles and anything else you want in your book. It also will provide you with a large selection of pages that can be personalized for your book. 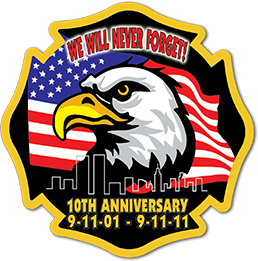 If you would like your department patch drawn, you will have to supply us with one. Please allow us a 8 to 10 week production time to complete and ship your books. A proof copy will be supplied and each page must be signed and dated before production can begin. Colorfully Yours, Inc. will supply a sample of any of our products that you request if available. All of our products (where the imprint area allows) can be imprinted with any of our stock designs and logos ( drop down menu appears on all product pages that this would apply ). Add your imprint copy, choose an imprint color and you now have a "custom" imprint without a set-up charge! All artwork will be quoted upon request. If artwork has been generated from an existing customized item (example: Custom Coloring Book) it could save you additional art charges. Since Colorfully Yours, Inc. offers totally customized products, we require a lead time of approximately 10 working days after proof approval. When ordering your products, please keep in mind the date of your event, so as to allow for production time and shipping. Rush orders on some merchandise can be accommodated within reason. We cannot be responsible for delays in shipping since we have no control after we have given the shipment over to the carrier. Unless credit has been established we require a 50% deposit on all orders. We are happy to invoice Fire/Rescue/Ambulance Departments who use purchase orders, our terms upon receipt unless prior arrangements have been made. If your “administrative” needs call for prepayment by check, please call or fax us for a “pre-bill” with your order. Make checks payable to: Colorfully Yours, Inc. We accept Visa or MasterCard. Credit can be established by calling us at: 800-230-9661. If you receive terms NET 30 days from date of delivery, a 1.5% finance charge per month will be added to past due balances. Each item ordered will be separately invoiced and may be shipped at different times. If you require a voucher please mail or faxed after order has been confirmed. Prices are subject to change without notice. Since Colorfully Yours, Inc. offers totally customized products, orders are subject to not more than a 10% overrun or underrun allowance, and to be billed prorated acceptable to the customer. Shipping charges are additional. All prices FOB: Bay Shore, New York. A street address for shipping must be supplied where delivery can be accepted during normal business hours. A signature will be required to receive your shipment. Your order will be shipped UPS Ground once your order has been completed. If you need NEXT-DAY delivery, be sure to mark that on the order form, or give us a call with your order. Unfortunately, even with our best projections, we can sometimes run low on individual stock items. Please provide us with your daytime and evening phone numbers to call if we need to offer you an alternative product if the item you want isn’t available for NEXT DAY delivery. Be sure to order early for the best selection of our products! Charged only to non-exempt residents & businesses. For tax-exempt organizations and businesses, please include a copy of your Sales Tax Exemption Form with your order. We guarantee not only the quality of our products and imprints, but we also guarantee the quality of the service you will receive. If you’re an existing customer you know this is true! And if you’re a new client, we invite you to experience our top-notched products and customer service. This entire website is a copyrighted work, published by COLORFULLY YOURS, Inc. 2011. All artwork is copyright Deborah Lindner. 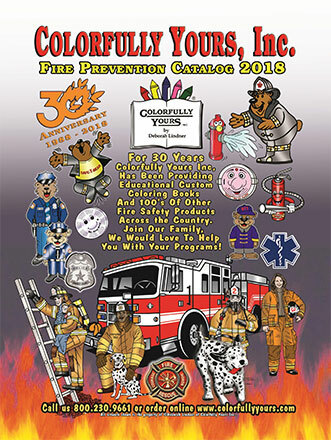 No portion of this website, catalog, artwork, designs or products included, may be reproduced without the permission of COLORFULLY YOURS, Inc.
Colorfully Yours Inc. will match the price of any item, if found in a competitor's current catalog at a lower cost. The item must be identical to the one in this website. You must fax, email or mail us the printed page of the competitor's current catalog or website of the item to be eligible for this service.